A customer service leader recently told me about a demotivated employee on her small team. He was the first person scheduled to work most days. By the time he got settled in at his desk and turned the phone system on, he would be crushed by an avalanche of calls. The employee would regularly spend the first hour of his day struggling to keep up with the volume until other coworkers started to arrive. By then, call volumes typically diminished and his colleagues enjoyed a more relaxing start to their day. The customer service leader recognized this employee was one of her best. She also sensed he was getting frustrated. What should she do? The solution may seem obvious in hindsight. It was time for this leader to evaluate the hours of operation and her staffing levels throughout the day. Here's why you might need to do it, too. There are two dimensions to operating hours and staffing. Both have a significant impact on service quality and profitability. For example, the customer service leader I described earlier likely had customers who were frustrated by having to wait when they called first thing in the morning. Angry customers tend to take longer to serve, which lengthens the wait time for the next customer. Over the long run, those customers might take their business somewhere else. I suggested that she review her schedules and consider having more staff available at a slightly earlier time of day. She could shift a person or two to an earlier start time so her total hours would remain unchanged. This would help prevent her employee from feeling so burned out. It would likely also prevent customers from having to wait. Hours of operation and staffing levels are critical decisions for small businesses. Let's look at an example for an independent retail book store. According to Womply, a company that provides customer insight data to small businesses, the average independent retail bookstore does 5.5 percent of its total weekly business on Sunday. The national average weekly revenue for this type of business is $4,334, so a 5.5 percent share means a typical Sunday clears $216.70 in sales. Is it worth it for this business to be open on Sundays? If so, what hours should it be open? And if it's open, how many employees should be available? Let's tackle the first question. According to multiple sources, including this one and this site, the average gross margin for a bookstore is 40 percent. This is the difference between the price the bookstore pays to acquire the books and the price the bookstore sells them for. So 40 percent of $216.70 in revenue leaves just $86.68 in gross profit. That gross profit has to cover the wages of employees working in the store, along with fixed costs such as rent. The $174.24 is actually low, because it doesn't include the "fully loaded" costs associated with paying employees, such as payroll taxes, insurance, etc. But the math alone on this is pretty clear. The store will lose $87.56 by being open on Sunday. What hours should the store be open? There may be other times when it may be a good idea to be open longer hours or have more employees on staff. Let's say the bookstore normally closes at 8pm on Saturdays. It happens to be located in a busy part of town with several restaurants that draw large crowds. The store might benefit from staying open until 10pm on Saturday if it can make some sales to the after-dinner crowd. Imagine the store does an experiment and finds a way to average $150 in additional sales from 8pm-10pm on Saturdays. At a 40 percent gross margin, that leaves $60 to pay employees and other expenses. So two employees working two additional hours at $10.89 each (2 x 2 x $10.89) would cost $43.56. Having the right number of people on staff is also essential. Too many employees is a waste of money, but so is having too few. Making small adjustments to the hours of operation and staffing levels could mean the difference between the bookstore losing money or making a respectable profit. Start by pulling a historical record of the data for the past six months and compare it to your employee schedules. Look for situations where you are either understaffed or overstaffed and try to determine where your schedule needs adjustment. Don't be afraid to try small experiments where you extend or shorten hours of operation or add or subtract staffing levels at various times of the day. Whether you manage a contact center, run a small business, or oversee a large enterprise, having the right staffing level is critical. Is your customer service team ready for the holiday season? A new report from chat software provider LiveChat provides some insight that can help you prepare. The report studied 8.8 million customer service chats from 1,400 ecommerce companies in 2015. The results were further segmented into off-peak (January - October) and peak (November - December). The data reveals when customer chat volumes will be high and provides some tips for staffing to meet that demand. You can also use this data to improve service quality. You can read the full report here or browse through a few highlights below. LiveChat's report reveals that the average company experienced a 63 percent chat volume increase in November and December. That's not too surprising. The stat that really jumped out was that chats lasted an average of 1 minute longer in November and December (peak season). That jumped up to 1:23 longer on Cyber Monday. Many customer service leaders will plan for the volume increase. The big question is whether contact centers will be prepared for longer chats. The extra volume and longer chats means customers may have to wait longer for a live agent. LiveChat's data shows that it took 7 seconds longer for agents to respond to chats during peak season. A 2015 report from Zendesk shows that customer satisfaction cliff dives after customers wait longer than 50 seconds for a chat response, so that extra 7 seconds can be a problem. Not surprisingly, Black Friday and Cyber Monday were the two busiest days of the year for chat volume. What happened next was a little surprising. Chat volume dropped 53 percent the Saturday after Black Friday. For some contact centers, this may have meant being overstaffed if they planned for volumes similar to Black Friday. Cyber Monday had 10 percent higher chat volume than Black Friday. But, look at LiveChat's graph and you'll see that volume dips but remains relatively high throughout the week. It's only the weekends when chat volume declines. You may have similar peaks and valleys in your volume. It's a good exercise to look at your historical data to see when you need extra staff and when you don't. This is old hat to large contact centers, but smaller contact centers tend to keep a more static schedule from day to day. The increased volume takes a minor toll on customer satisfaction (CSAT) as survey scores dipped an average of just .7 percent during the November - December peak season. To me, these stats can be misleading. It may seem that a small drop is OK, but this is a missed opportunity. Holiday shopping is a stressful time for many customers. You can distinguish your company if you can find a way to alleviate some of that stress through fast, helpful service. After all, you want your customers to remember you during the off-peak months of January through October. It takes the average contact center three months to hire and fully train a new agent. That means it's probably too late to add staff now if you haven't already started. But, there are still things you can do. I shared three tips for handling increased volume without adding extra staff in LiveChat's report. 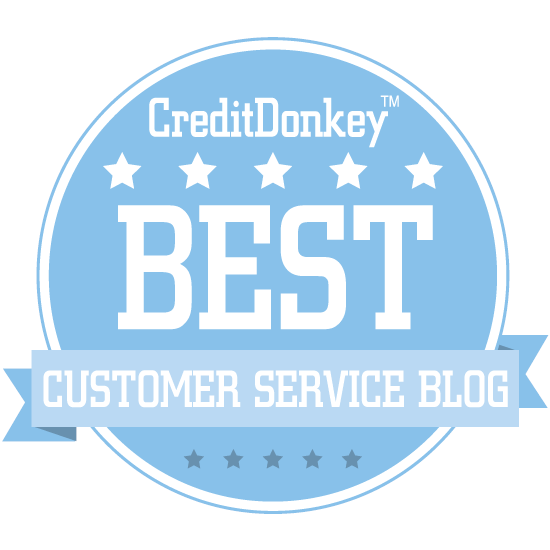 Get the latest posts and receive 10 Customer Service Activities to Supercharge Your Team.